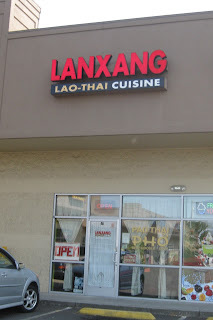 My previous visit to Lanxang may have immensely disappointed me, but I opted to give them another shot in mid-August, a year removed from my last review here. I had lunch with one of my friends as usual. My friend and I arrived right around 11 a.m., among the first ones there that day. I brought my appetite and went for the foodie jugular. 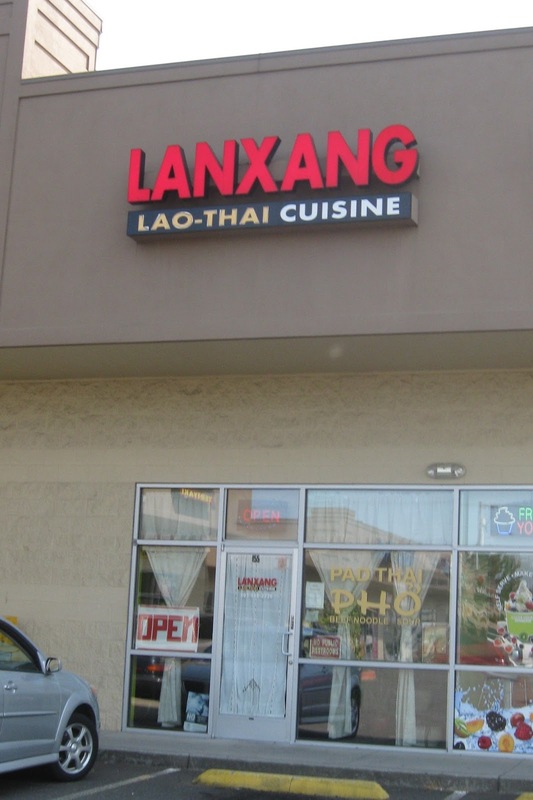 We first shared a plate of fresh spring rolls ($6.50). It's really three thick rolls wrapped with rice paper, then cut in half, paired with a lovely (slightly sweet) dipping sauce containing what looked like crushed peanuts. Choice of shrimp or tofu, and we got the shrimp. Excellent tight wrapping, very refreshing on a hot day. And since it was a hot day, I followed true panda logic and got spicy curry. This time, a yellow chicken curry beckoned to me ($8.45): choice of meat, coconut milk, bell peppers, carrots, and potatoes. Not surprisingly, I requested extra spicy. Probably one of the better yellow curries I've had, quickly making me forget about my rather-forgettable 2011 experience. Ideal consistency from the coconut milk, moist chicken, and perfectly cooked sliced vegetables. I guess I should have made it clear I wanted it "Thai extra hot," because this really wasn't spicy for me. Didn't even break a damn sweat. Robbed me of my chance to burn calories while eating! Our server also gave us a complementary bowl of vegetable soup. No problems here, delicious stuff. My friend enjoyed her huge portion of chicken Pad Kee Mao ($8.45) and ended up taking half of it home. Didn't have to worry about food for the next couple days, I suppose!